Not many of us engage in traditional letter writing these days. We have email and texts to get our messages across, after all. 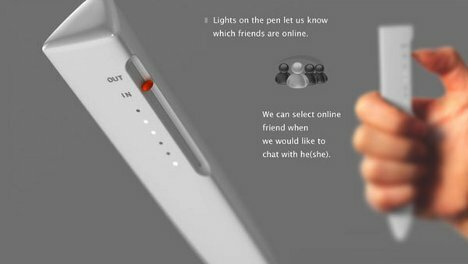 But for the two or three people who would rather write with a pen than type on a keyboard, Ren Fangying has come up with a cute idea that blends digital and analog communications. 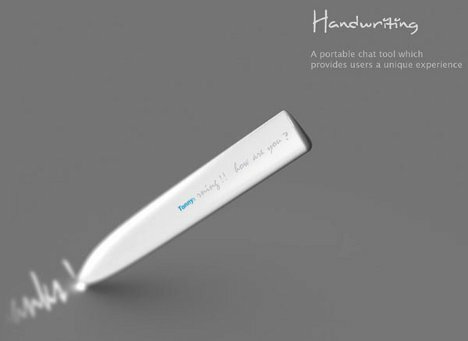 “Handwriting” is a portable chat tool that looks a lot like a pen – but it’s far more complex than that. 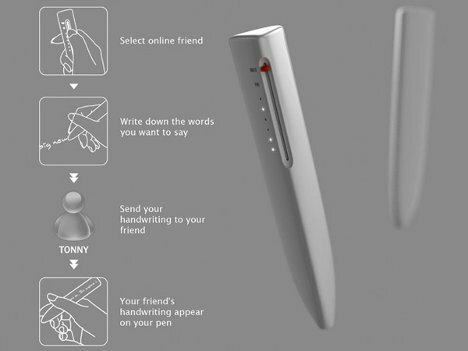 It features a tiny screen on one side along with a slider that allows you to select which friend to communicate with. Up to six friends are pre-programmed to communicate with; when their corresponding light is illuminated, that friend is available to chat. Using the pen, you write a short message in your own handwriting. 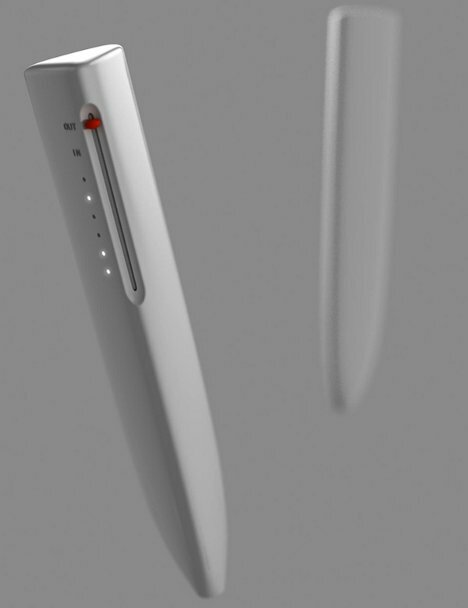 Photoelectric sensors in the tip of the pen pick up your writing and send it via wi-fi to your chosen recipient. The message appears on the friend’s “Handwriting” screen just as you wrote it. No autocorrect or neat, uniform letters here – just the personal connection of reading someone’s hand-written words. 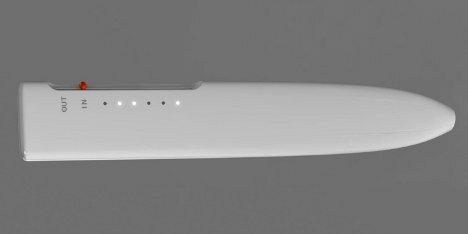 Of course, a gadget like this (if it were ever produced) would never replace texting, talking and instant messaging as our preferred means of communication. But it’s a neat novelty gadget that looks like a lot of fun to play around with, anyway.